In a season that has already been filled with milestones, four members of the Minnesota Lynx added one more the to list on Sunday. In Sunday’s 87-78 win over the San Antonio Stars at Xcel Energy Center in St. Paul, the quartet of Seimone Augustus, Rebekkah Brunson, Lindsay Whalen and Maya Moore became the winningest foursome in WNBA history. On Sunday night, the foursome recorded win No. 122 as a group, moving past the quartet of Tamecka Dixon, Lisa Leslie, Mwadi Mabika and DeLisha Milton-Jones of the Los Angeles Sparks. That group recorded 121 wins from 1999 to 2004. The Lynx foursome carries a record of 122-30 in six-plus seasons together. The journey began prior to the 2011 season, when the fourth and final member of the foursome joined Augustus, Brunson and Whalen in Minnesota. Moore, coming off of a successful career at UCONN, was drafted by the Lynx with the No. 1 pick in the 2011 WNBA Draft. From that point on, the Lynx turned a corner. And the rest is history for the quartet of Augustus, Brunson, Whalen and Moore. 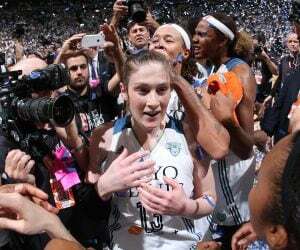 Coming off of a season in 2010 where the Lynx missed out on the playoffs, Minnesota got back on track in 2011 … in a big way. The Lynx went on to have a WNBA-best 27-7 regular season record and win their first championship in franchise history, sweeping Atlanta 3-0 in the WNBA Finals. 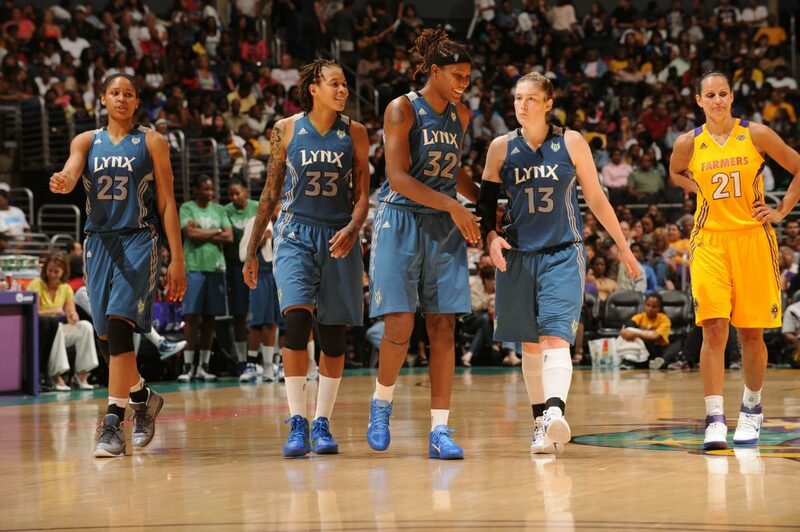 That 2011 season set the tone for both the Lynx quartet and what would be a historic run in the next six-plus years. “Even though they hadn’t won championships, you have a group of players who are the highest level of competitors. They compete every time they are on the court,” Brunson said. “If it was Seimone here in Minnesota doing it by herself, she was out there and she was working. Lindsay in Connecticut, she was getting to the playoffs and getting to the Finals. Then you have Maya coming in from UCONN, she always competes. She came from a winning program and she was ready to bring that in. That first championship would end up being the beginning for what turned out to be one of the greatest runs in WNBA history. 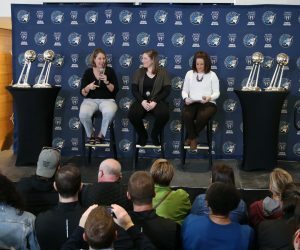 Throughout the course of six-plus seasons, the quartet has helped bring the Lynx to where they haven’t before in franchise history. And frankly, where just a few other teams have ever been in WNBA history. “They talk so much about their time together. They’ll do a fair amount of reminiscing about when they first got together. Just every day that they spend together, they have this mindset and they understand what they are accomplishing. It’s a really cool thing,” Reeve said of her players. “That’s something they all can enjoy, because they know what it’s taken to be able to do that. Throughout recording the most wins as a quartet in WNBA history, the foursome has helped lead Minnesota to five WNBA Finals appearances and three WNBA titles. “We just want to win. . . We are so unselfish,” Augustus said. “When Maya came in, she lost that last year at UCONN, that championship. So she came in very hungry. I hadn’t been to the playoffs since I had been here, so I was hungry. (Whalen) had been in the Finals a couple of times, but never excelled and won a championship. And then Brunson was added after that and it was over. After the quartet secured win No. 122 on Sunday in St. Paul, Moore sat in the locker room after the game and reminisced about the foursome’s journey. Each member of the quartet has had its own individual success. But together, they’ve been able to do something that no other foursome ever has. 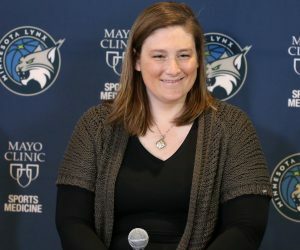 Augustus – who has spent her entire 12-year WNBA career in Minnesota – is six-time WNBA All-Star, six-time All-WNBA selection, three-time Olympic gold medalist, was awarded the 2011 Finals MVP, was named to the WNBA’s 20 Greatest Players List and is the Lynx franchise leader in points and field goals. 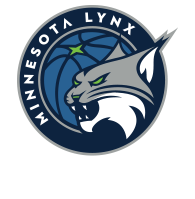 Brunson – in her 14th WNBA season and eighth in Minnesota – is a three-time All-Star, five-time All-Defensive selection, is the WNBA’s all-time leader in offensive rebounds and is the Lynx franchise leader in rebounds, defensive rebounds and offensive rebounds. 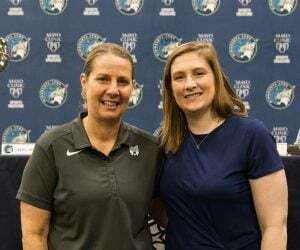 Whalen – in her 14th season and eighth in Minnesota – is a six-time All-Star, two-time Olympic gold medalist, five-time All-WNBA selection and is the Lynx franchise leader in assists. Moore – in her seventh season in Minnesota – is a four-time All-Star, five-time All-WNBA selection, two-time Olympic gold medalist, was awarded the 2013 Finals MVP, the 2014 league MVP, the MVP of the 2015 All-Star Game and was named to the WNBA’s 20 Greatest Players List. 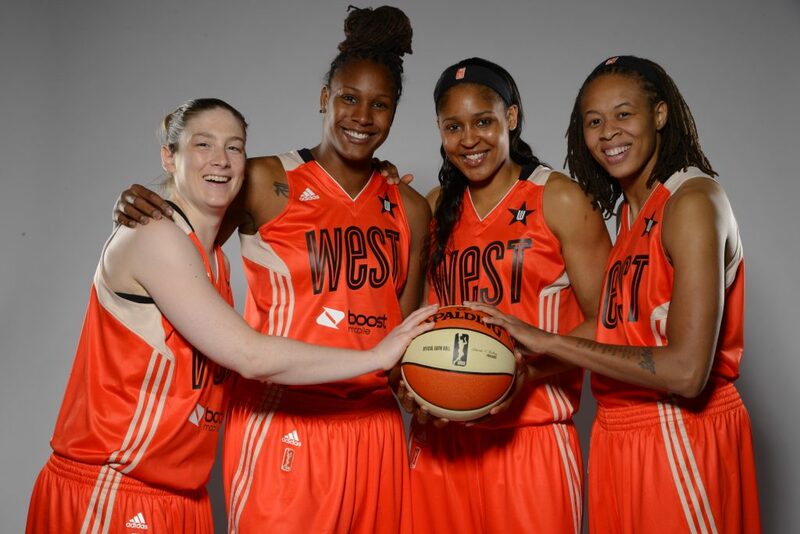 Now they can add being a part of the the winningest quartet in WNBA history to their resume. But that win total doesn’t stop at 122. The foursome is focused on continuing to add to that as much as possible this season.